Well, I have my two squares done for you. Meant to go out earlier this week and kept forgetting (silly me) and now I'm pretty well snowed in for a few days. Will definitely go out on Monday! Thank you marpan79 for the 2 beautiful squares you sent. I received them today. Here is the progress so far (not with marpans squares though because I took this a while ago when I previously said I would). Its looking great! Thank you so much all. Thank you Nira and Tiffer93 for the great squares! The 'ghan is getting there. Just finished making some myself to add to the pile. Need to start blocking them soon so that they are ready to go when I have enough squares to put it all together. Hey Emma. I just saw this. Send me your address and I will see about getting some squares to you as soon as I can! Praying for your family! I received a beautiful square today for the In Laws ghan. I'm going to start planning on how its going to go together. I know I still need some but don't know exactly how many. It was a pleasure making it! Know that warm wishes and prayers where crocheted into every stitch. 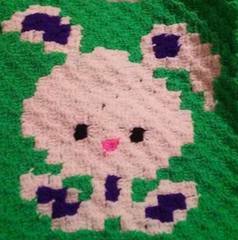 For those who aren't familiar with the pattern, It is called "Hope"; I thought it was appropriate for the comfortghan! I just stitched 4 of them together to make it 12"
Aww thanks Nira. 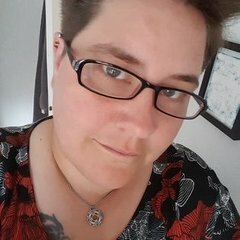 I've got a new address so PM when you are ready to send anything. Cindy that is awesome! 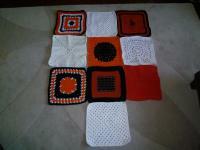 I thought about making smaller squares and putting them together to make a larger one. Where did you find that pattern, or did you come up with it? Skoggy, do you need any more? Estee, thank you! I look forward to receiving your package. Jel-Rel Drood, yes can do with a few more. PM me if you want my address. Thank you Estee for the square I received in the mail this morning. It is deeply appreciated. Skoggy how is this comeing along? Just wanted to say that I am getting round to putting this together. 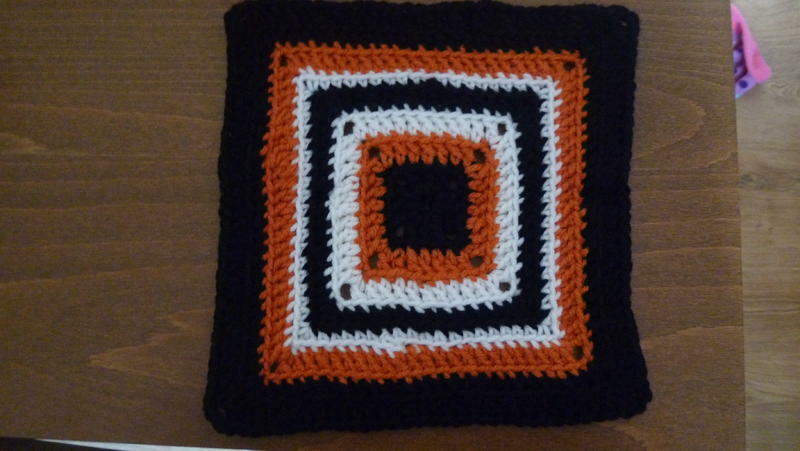 I've been making some squares as well but if anyone else wants to help, then that would be great. 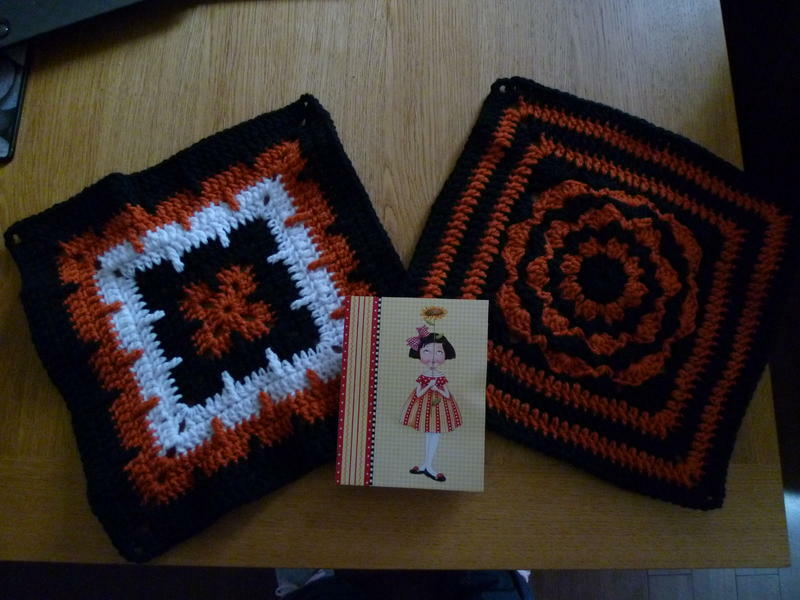 Thank you so much to Pineknott for these 2 squares I received today! 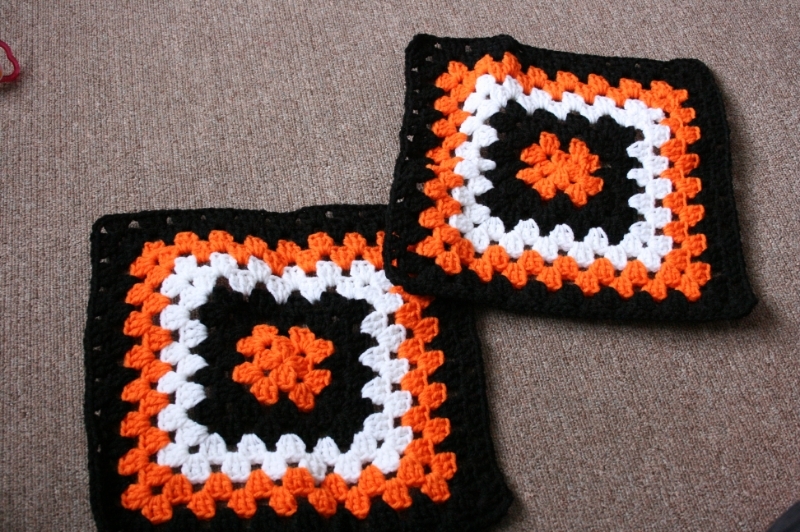 MIL and FIL are actually coming over from Sweden in November so I'm hoping to have the blanket finished by then. wow those are sure purty!! And pineknott, and orange, wow, will wonders never cease!!!!!!! 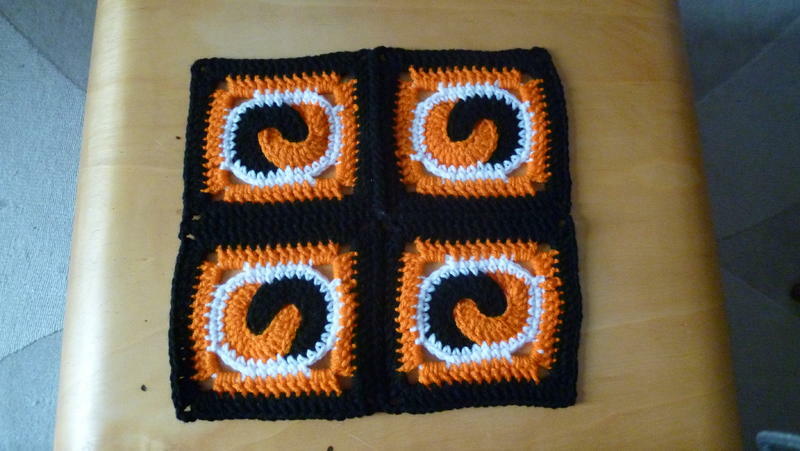 They are lovely squares, linda does such nice work!